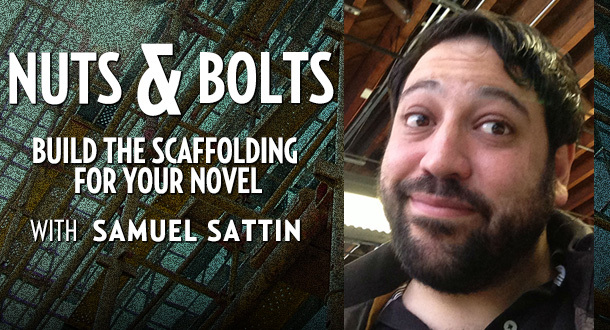 In this two-week workshop, Samuel Sattin will teach you how to properly situate your characters and the world of your novel, so you can proceed on steady footing. Starting a novel is a historical source of headache for budding writers. Is there a good—or at least better—way to begin? What goes into setting the stakes, building tension, or coming up with new and interesting ideas? When it comes down to it, good characterization is the key to a good novel, and as writers it is our duty to make sure the creatures we create can exist, even if uncomfortably, in diverse environments. In this two-week course, you'll learn how to turn characters into chameleons, so they can adapt to different cities, different biomes, different time periods, and even different worlds. You'll tackle some of the common obstacles to beginning a novel—from world-building and dialogue to keeping a proper secret. You'll discuss the importance of raising the stakes, so that, when a reader picks up your first page, he or she will hopefully feel like they’re being dropped onto a moving train. Writing is equal parts science and art. The aesthetic of a novel, its prose and rhythm, must be backed up by pragmatism and restraint. Every work of fiction, whether traditional or experimental, must have its rules. In this class, you'll discuss known ones, and perhaps create your own. Through in-class exercises and readings, you'll learn more ways to summon creativity. And you'll work on strategies for implementing a productive writing schedule. The aim is to get you on a steady track, so that you feel like you’re inside your narrative, as opposed to merely observing it. You'll begin with characterization, drawing up a personality compelling enough to put on the page, before dragging that poor character through various stages of hell. As writers, you’ll learn what it means to create guidelines that your characters must follow. Writing Assignment: From Mary Shelley’s Frankenstein to Dracula and The Strange Case of Dr. Jekyll and Mr. Hyde, there is a time-honored tradition of writing about monsters. In this exercise, take a minimum of 2,000 words to describe an encounter in which the character you have created confronts a creature of terrifying proportions. You can be creative, and the definition of ‘encounter’ can be broad, but don’t be afraid to get whacky. Now that you feel a little more comfortable in your character’s shoes, you're going to discuss ways in which to create complex, interesting environments and situations for that character to maneuver. You'll work on setting the stakes and creating plot clinchers by generating suspense. Writing Assignment: In a minimum of 1,000 words, challenge your character by having he or she interact with an important historical figure. You don't need to time travel, if you don't want. Your character can examine his/her lineage, loot a museum, or be caught up in Tiananmen Square, battling Chairman Mao. The important thing is that you do a little bit of research, and attempt to draw a narrative thread between your character and someone that character, under ordinary circumstances, may never have met. "League of Somebodies is so rich with originality that it's actually radioactive. If you captured Owen Meany in a literary time machine and fed him a strict diet of comic books and plutonium, you would come up with a main character a hell of a lot more well-adjusted than Lenard Sikophsky. Read at your own risk and beware: laughter is the first sign of infection." "How to explain this mystic monster League of Somebodies? Part old-school epic, part coming-of-age tale, and part comedy in the spirit of Mel Brooks's Young Frankenstein . . . Samuel Sattin is a mad scientist!" "Those of you who are considering poisoning, terrorizing, and forcing their boys to read maniacal misogynistic rantings may want to read League of Somebodies as a cautionary tale. The rest of you, though, will have fun with this satiric American saga of squalid super-heroics." "In our been-there-done-that world, Samuel Sattin has managed to create something new: a graphic novel without the graphics. A superhero story about twisted fathers and frightened sons, betrayals of the heart and home. This non-comic comic-book is a big-themed story-telling bonanza whose major elements are not only thematic, they're chemical. If you crave a wild and original read, you've come to the right place." "Sattin's first novel is a whirling force that blends the family saga, superhero lore, and a coming of age story to a frothy cocktail. Imagine The Godfather remixed with Chabon's classic Kavalier and Clay."